How do I install screen stand to my LS22E310 PC monitor? 1 Place the monitor on a non-scratch surface, such as a towel, with the screen facing down so that you can see the backside of the unit. 2 Place the stand in position with the monitor as shown in the image below. 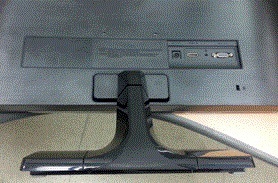 3 If the stand does not click into the Monitor, tap the bottom of the stand with required force. For further assistance please contact Samsung Customer Care using one of the options below. 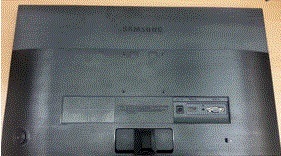 Unlock On Screen Display on Samsung Monitor. What are some functionalities control panel of UE55C Samsung monitor?